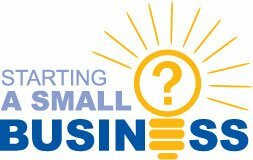 Everyone knows someone who has decided to go into small business but did you know that 80% of all small businesses fail within the first 12 months of operation. In some countries that failure rate is as high as 85 to 90%. Small Business is one of the toughest industries you can ever decide to take on and most people who go into small business go into it for the wrong reason. Have one night when you do something on your own for you! I would love to see the divorce statistics for small business owner's because I am quite sure that the divorce rate in small business would have to be about 70 or 80%. The majority of married couples (and I am talking about 90% of the small business people I Know) that I know who have gone into small business in their 30's have actually been divorced within 18 months of them starting the business. that is you must be prepared to start with just the shirt on your back.